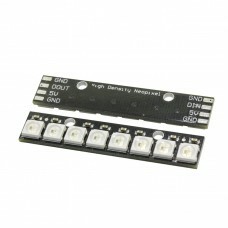 Designed to connect to industry standard WS2812/WS2811 RGB LED strips. 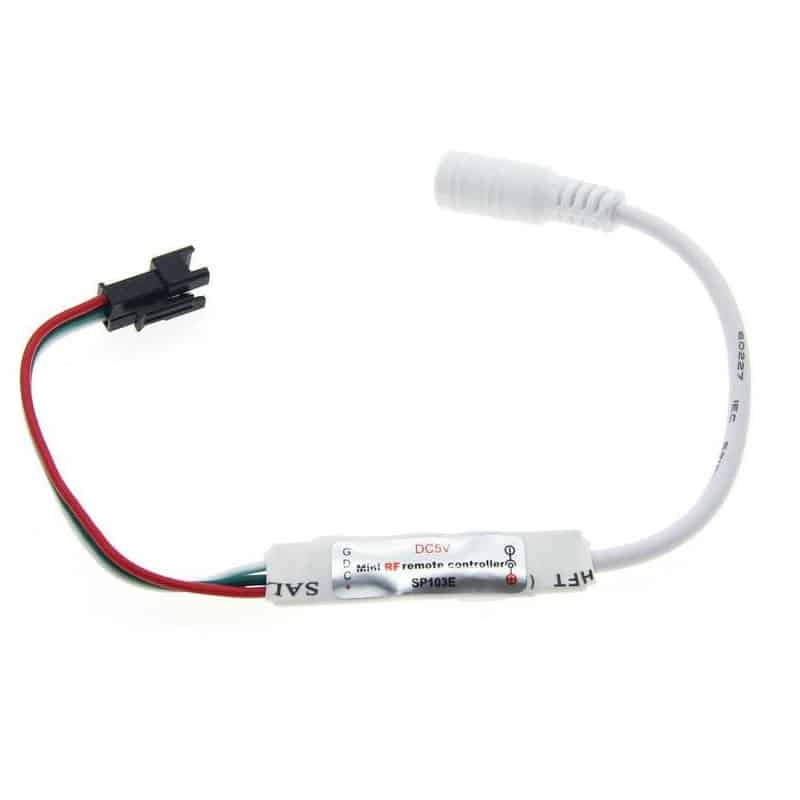 Supplied power can range from 5v to 24v DC. 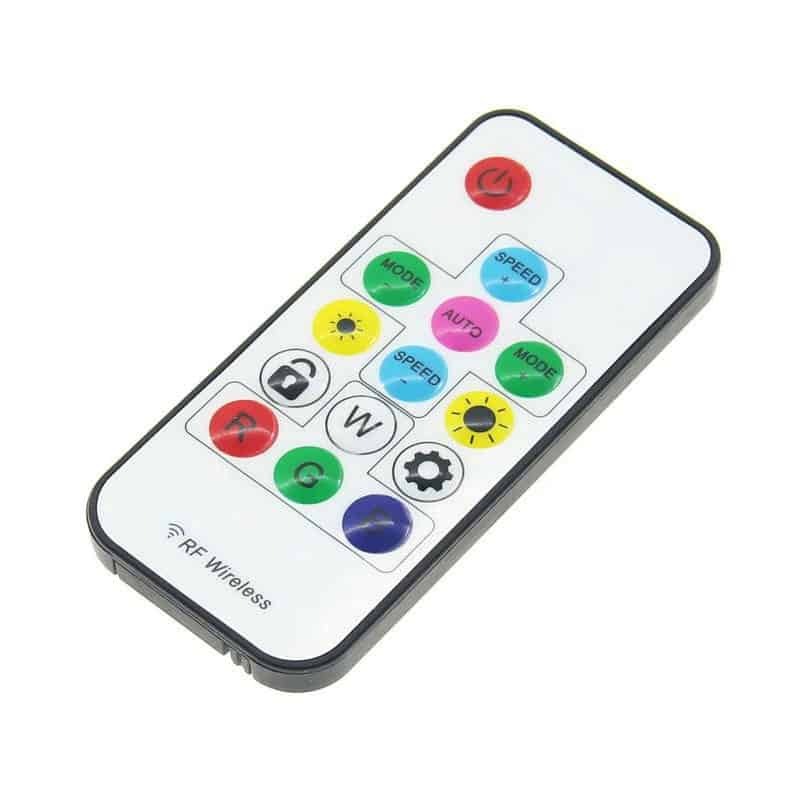 358 display modes, ten-speed levels, all controlled with the supplied mini RF remote control unit. 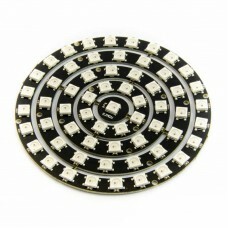 The unit can control a maximum of 2048 pixels (LED modules). Control of the RF receiver with the remote features a 10M (32-foot) range. 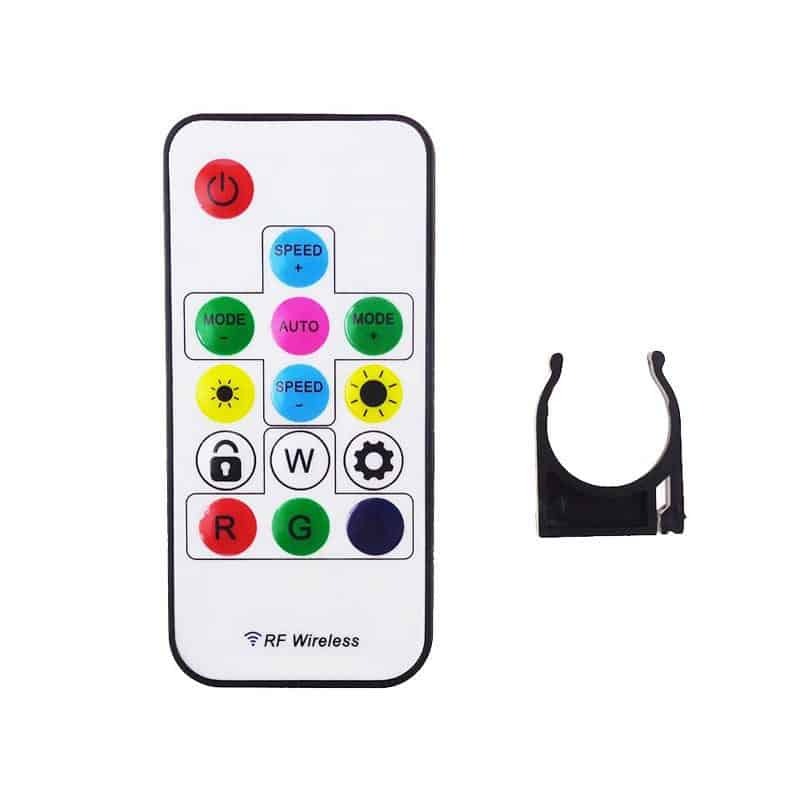 The RF remote requires a single CR2025 battery. 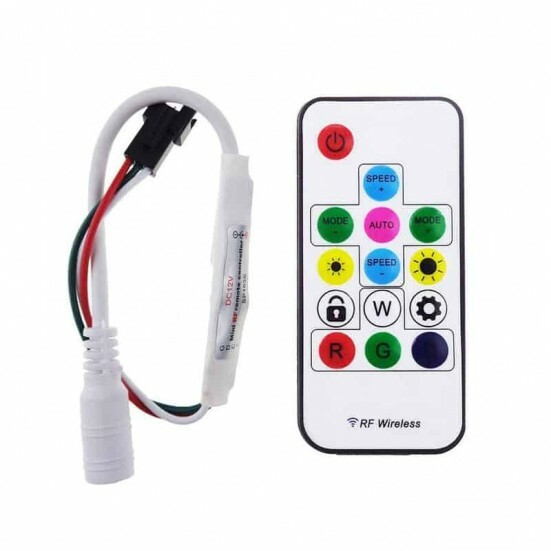 Package includes the controller along with the RF remote. 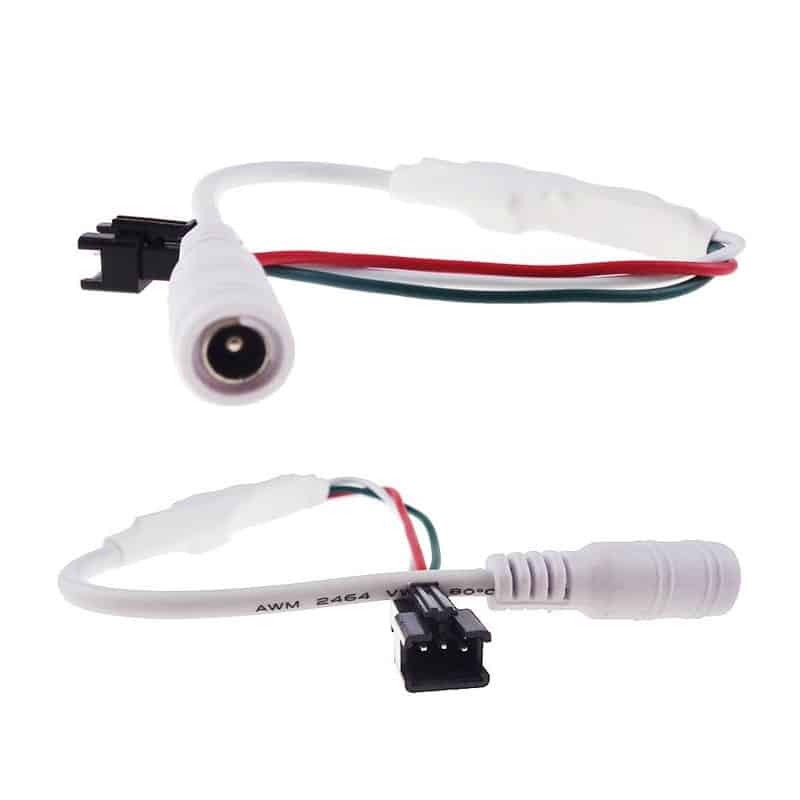 Power is supplied to the controller through the standard 2.1mm power jack. NeoPixel Strip Based on WS2812 LEDs WS2812 based NeoPixel strip modules contain 8 5050 RGB ..
NeoPixel Ring Set (61 LEDs) Based on WS2812B LEDs WS2812B based NeoPixel ring modules co..